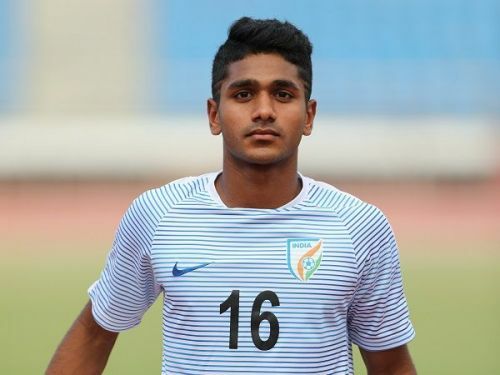 Promising Kerala winger Rahul Kannoly Praveen has officially been signed up by ISL outfit Kerala Blasters for the 2019-20 season. The Under-17 Indian International was signed from AIFF developmental team Indian Arrows, who play in the I-League. A product of the famous SEPT (Sports Education Promotion Trust) academy from Kerala, coach M Peethambaran of the Kerala Santhosh trophy team nurtured him into the player he is today. Rahul KP is best on either wing with his electric pace and energetic performances for Indian Arrows even earning him a place amongst the 34 probables at the preparatory camp the India senior team held before the 2019 AFC Asian Cup. He is also part of the Indian under-23 team that will kick of its AFC Under 23 Championship Qualification against Uzbekistan on 22nd March. Rahul is only 19 and had a good season with the Indian Arrows in the I-League, scoring twice in 17 appearances. The team, made up of AIFF’s developmental players finished a respectable 8th out of 11 teams in the league. Kerala Blasters had a dismal 2018-19 season, finishing 9th out of 10 teams in the Indian Super League. With one of the most active fan bases in the country, the pressure is immense on the club to rebuild and come back stronger next season and the signature of Rahul KP, also a local boy from Kerala, is a positive step in that direction.